Loyal readers, the story’s end is fast approaching! What question(s) do you have for the authors? Ask away in the comment section! We will post the answers to your questions on December 31st! January 6, 2019! followed by a three-way tie between Li Chunfeng, Liu Ganzorig, and Huang Zhiyuan (aka Huang-laoshi)! Li Chunfeng: Get your hand off me! We’re totally not friends. 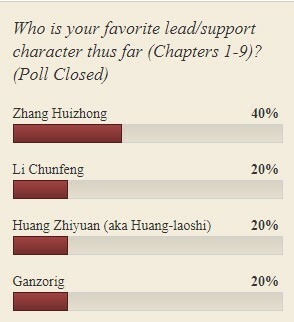 Zhang Huizhong: I win. Bwahaha. Poll time! Share who is your favorite lead/support character! Ends Nov 30th! The results will be shared later with a celebratory drawing on November 22nd 30th! Extended the poll closing date! The illusion of peace is shattered for the residents of Dong Ying on one fateful night, when the cogs of a near-forgotten legend begin to turn. Two young women whose paths were never meant to cross find their stories slowly begin to intertwine as they are challenged by assassins and demons in this new world. 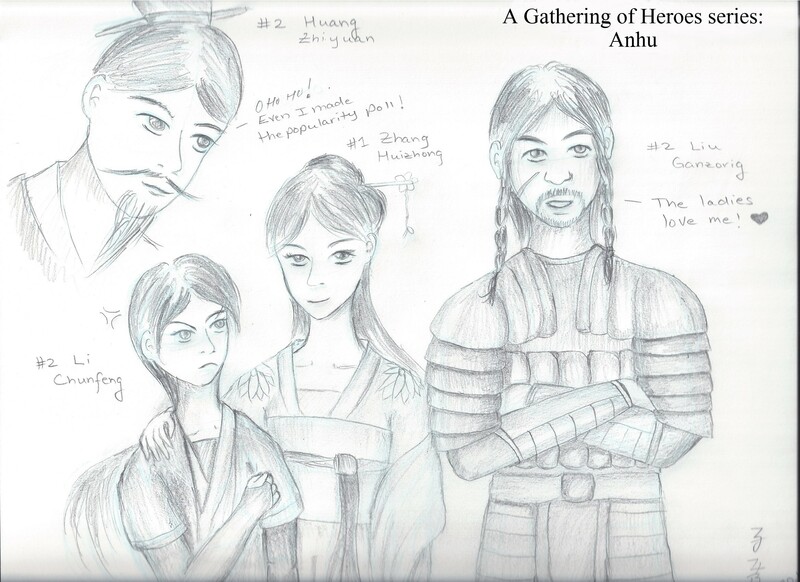 Can Zhang Huizhong, a noble with a stubborn streak, and Li Chunfeng, a bandit with a penchant for erupting, unravel this centuries old legend before it consumes the lives of their loved ones – and that of Weiguang Kingdom? The story updates every Sunday. Art and other extras update irregularly. The story is also being updated simultaneously on Wattpad. Begin here. Refer to Character guide and Glossary for help. Plans for 2019 – Art and More!